Many of the early comparisons pit Microsoft’s new 2-in-1 against the iPad Pro and Google’s Pixel C. In my opinion, a better apples-to-apples comparison matches the Surface Pro 4 against other Windows 10 hybrids and 2-in-1s. Comparing hardware specifications on devices that run the same operating system makes the most sense, especially for work-first users who often choose hardware based on the operating system they want to be using. It has been interesting to watch Microsoft evolve as the driving influence in the OEM hardware landscape. Redmond has always had a pull in the way manufacturers design laptops, mainly because products were built with their software in mind. The Surface Pro 3 established Microsoft firmly as a hardware leader, and OEMs are now grappling for identity and market footing for the next generation of devices. We are watching this play out in the final quarter of 2015. 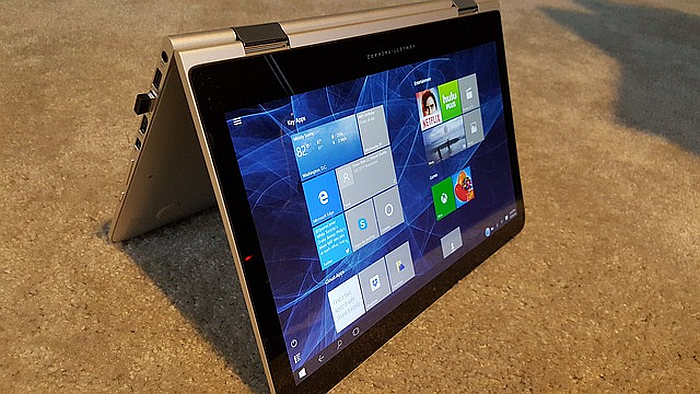 Several manufacturers are bringing to market new Windows 10 hybrids with similar features and price points. Will any of these machines contend with the Surface Pro 4? Which, if any, will have the right combination of power and price? Let’s take a look at the now-crowded field of Windows 10 hybrid candidates. Grounds for comparison: Toshiba and Microsoft are old partners dating back to the original DynaPad 30 years ago. 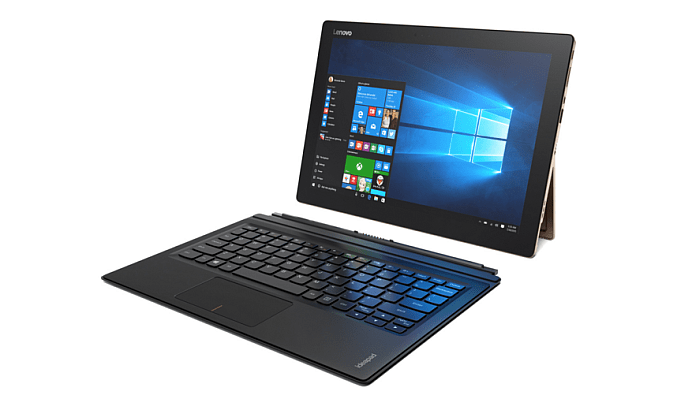 The new DynaPad—expected to hit the shelves in early 2016—shares a passing resemblance to the Surface Pro 4 with its detachable magnetic keyboard and form factor, though in actuality, is probably a closer comparison to a Surface 3 in terms of hardware specs. Differentiators: The real selling point is the active stylus, made by Wacom, which Toshiba says is capable of 2,048 levels of pressure. This makes it ideal for users looking paper-like experience for stylus note taking and sketches, something emphasized by the tablet’s 3:2 aspect ratio. The price has not been announced, but experts are predicting around $1,080. Grounds for comparison: The new Dell XPS 12 has an Intel Core i5 processor (4th generation), a level up from the previous XPS 12’s Core M CPU. This places it squarely in Surface Pro 4 territory for computing power. The form factor and magnetically attached keyboard bear a Surface Pro likeness, although the Dell is slightly chunkier as a tablet. Differentiators: The sharpness of a 4K display is the standout feature for the XPS 12. The Dell Active Pen comes separately whereas the Surface Pro 4 bundles it in. The XPS is lighter on connectivity. It is missing full size USB3.0 and HDMI ports, which require the purchase of a single adapter peripheral. It is a little light on storage space maxing out at 256 GB. 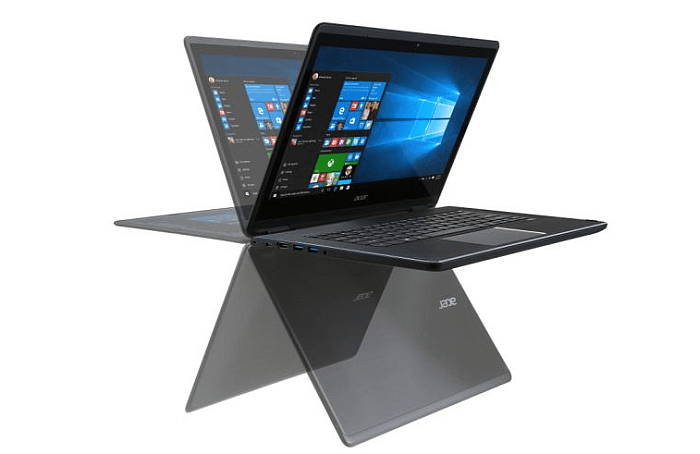 Grounds for comparison: The Acer R14 update gives you Intel Core CPU power in a 2-in-1 form factor with similar memory and storage specifications as Surface Pro 4 models. Acer says it worked with Microsoft to design the R14 for Windows 10 capabilities. Differentiators: Acer makes an appeal to budget-conscious users looking for production power at a low price point. It opts for a hinge instead of a detachable keyboard; early reviews of the build feel and hinge design have been positive, specifically that there is no gap between keyboard and screen when in full tablet mode. 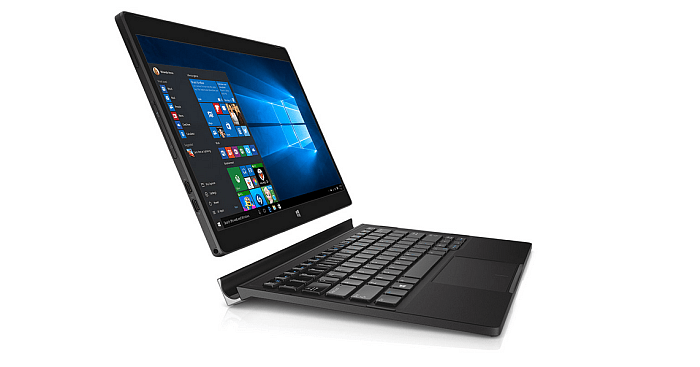 Grounds for comparison This is HP’s first attempt at a Surface-like 2-in-1 device and it gets close in many regards—mainly build size and memory configurations. Benchmarked performance comparisons between a 6th generation Core M processor and an Intel Core i5 Skylake are not yet available, but Intel’s modus operandi is to show how the current generation Core M (m7) outperforms a previous generation’s Core i5. So we’ll see. Differentiator There’s an aluminum hardware clip-on keyboard akin to the one offered on the Surface Book, and a u-shaped kickstand which help the x2 stand apart aesthetics-wise in the field. The Core M processor does not require a fan, so it runs quieter and is easier on battery life. It comes equipped with an LTE option (Surface Pro for some reason has yet to introduce this) which will have an appeal. The display is a lower resolution, but they keyboard will be sold with the device for some added value. Grounds for comparison: This Surface clone is the early darling of some in the PC review community. The most immediate similarities are the high-resolution display and the near-identical form factor and kickstand that the Surface Pro 3 has. Differentiators: The Miix 700 finds a nice midpoint between Surface 3 and Surface Pro 4 specifications. 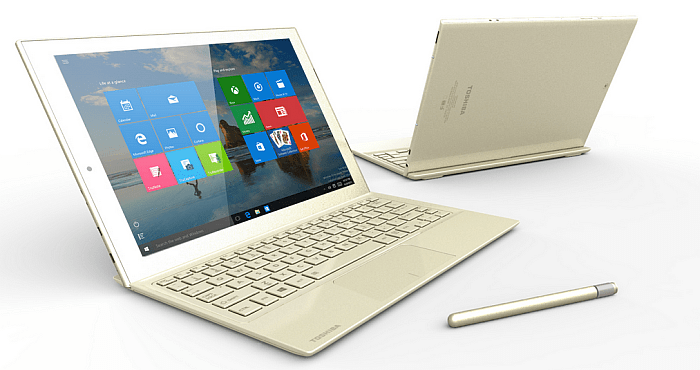 The fanless Intel Core M gives the Miix 700 the same kind of performance and quiet run discussed with the HP Spectre. It can be configured with LTE, but carriers are not yet official at time of publication. Let us know—which Widows 10 hybrid would you call the frontrunner to take on the Surface Pro 4? Let’s take a look at the now-crowded field of Windows 10 hybrid candidates looking for foothold against Surface Pro 4.